We have started our Fall series. 7:00pm Mondays @ CYM offices. 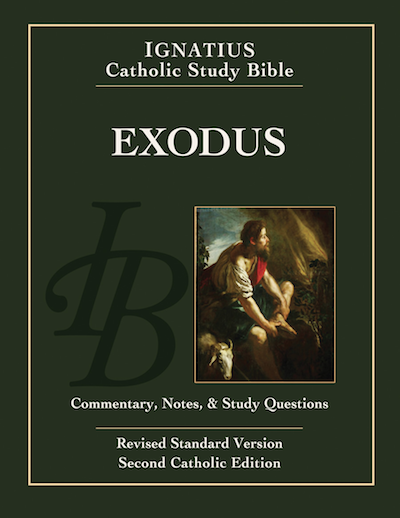 We will be studying the book of Exodus with the Ignatius Catholic Study Bible guide. This series is written by Curtis Mitch and Scott Hahn. "With copious historical and theological notes, incisive commentary and tools for study, Exodus come alive in their historical setting and contemporary application. The wisdom of the Fathers and the teaching of the church illuminate its every page. Hahn and Mitch have done much of the work for us. Unabashedly Catholic, this series will assist the scholar as well as the beginner to Bible study." "This Bible study is a triumph both of piety and scholarship, in the best Catholic tradition: simply the most useful succinct commentary that any Christian or other interested person could hope for."